Lost your job? Struggling with the rent? Cheer up, at least you’re not stranded in an alien forest, one of 500 descendants of two shipwrecked astronauts, waiting for Earth to rescue you, with food increasingly scarce and nobody to shag but your own cousins. But wait! Does this scenario have more in common with our own world than it initially seems...? Well, yes. Of course it does. 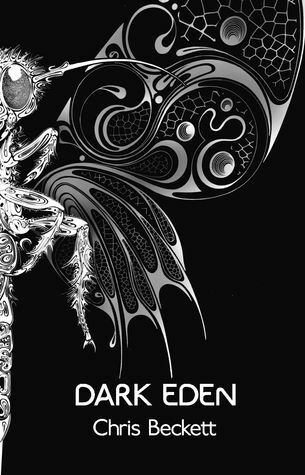 Dark Eden is made up from multiple first-person narratives, but the main one is that of John Redlantern, who becomes frustrated with his conservative, unambitious community and decides to change things. Here Chris Beckett uses a familiar SF device to create a scenario which feels plausible, yet also has the broadness and simplicity of a fairytale allegory. It’s full of commentary on numerous subjects: not only our own creation myths, but also the emergence of patriarchy, our construction of history, and the way that politicians become consumed with short-term problems whilst larger issues are disastrously sidelined. The novel also constantly questions its own propositions, creating a rare level of complexity. Whilst John’s efforts to bring progress to his world are clearly necessary, other characters convincingly question his motives and methods: this conflict enriches the story, ensuring it doesn’t become a dry treatise dressed up as a novel, and creates real suspense as to how it will end. The prose can be functional at times, but then that was true of Orwell too and he got by okay.